Be on top of the latest and best in finance technology solutions today. 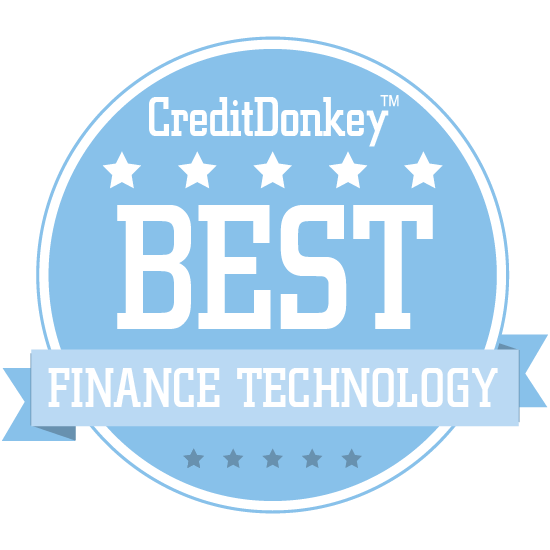 Winners of the CreditDonkey Best in Finance Technology Award have been announced. Fast finance - no one wants to wait around to make financial moves, and the companies on the Best in Finance Technology list ensure your decisions get acted upon quickly. These innovative companies can either help you with loans, credit management, or investing. Cumbersome paperwork became a distant memory when newer companies came to the scene and pushed traditional ways of financing and managing money to the side. Now, as an investor or as a business owner, you can more easily put your money ideas into action. The hard part is choosing where to go since so many companies are in this market - so we've come up with this list of the very best in finance technology to take that load off of you. At CreditDonkey, we pay attention to these things, to connect everyday investors with the most innovative companies and best services for making the right choices with their money. Read on to find out who is on the Best in Finance Technology list. Transferring money to businesses via international wires is clunky, slow, expensive and unsecure. Ripple seeks to change that and has created a platform that allows for security, speed and traceability for sending money overseas online. It provides point-to-point settlements, rather than the current chain that's in place, which cuts down on time, cost and vulnerability. CEO Brad Garlinghouse served as CEO of Hightail, President of Consumer Applications at AOL and was an SVP at Yahoo. Why Ripple is Best in Finance Technology: Ripple offers direct access to bank settlements, instant speed and real-time traceability, all at the lowest total cost. Ripple has offices in San Francisco, New York, London, Sydney, India, Singapore and Luxembourg. Traditionally, if you needed a loan, you would have to apply through a bank branch and be subject to whatever rates you receive. LendingClub pioneered peer-to-peer lending and has evolved into America's largest online marketplace. By filling out some information, you can receive competitive rates from peers online. Or you can invest in people and their projects and business to receive returns of your own. CEO Scott Sanborn is a seven-year employee of LendingClub who served as Chief Marketing Officer and Chief Operations Officer. uTrade Solutions specializes in trading programs that make businesses run faster and smoother. Their low latency, high frequency trading platforms are available as individual modules that are delivered with various algorithms that can code proprietary logics. They help reduce risk and help exchanges and trading houses thrive. CEO Kunal Nandwani worked in Algorithmic Trading at Lehman Brothers, Nomura and BNP Paribas in London. 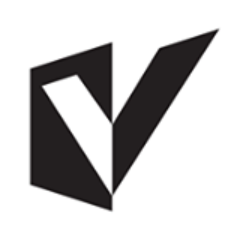 Fueled Ventures is one of the strongest mobile app design and development companies. They will help your business and vision blow up on the App Store with these clean, intuitive and responsive apps. They are responsible for some of the most successful downloads in their respective categories and continue to set new standards in design and technology. Chairman Rameet Chawla is a mobile design, start-up, strategy and ecommerce expert who speaks at conferences on mobile and entrepreneurship. Gifting someone a gift card or certificate can be a cumbersome process. You either have to walk over to a drugstore or supermarket, be subject to their availability, or go out of your way to a restaurant that they like. 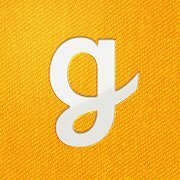 Giftly allows you to send a friend, family member, loved one or coworker a gift card for all sorts of places across the country, and it can be sent as easily as a text message or through the mail. Founder and CEO Tim Bentley created Giftly when he wanted to treat his mom to dinner at a restaurant near her on the other side of the country and there wasn't a product that allowed him to do so. Why Giftly is Best in Finance Technology: Giftly features text or email gifts, electronic or paper mail. You can download and print for stores, cash or restaurants all over the country. Available all over the U.S. Simply Wall St is a beautiful, intuitive and responsive program that helps you become a better investor. 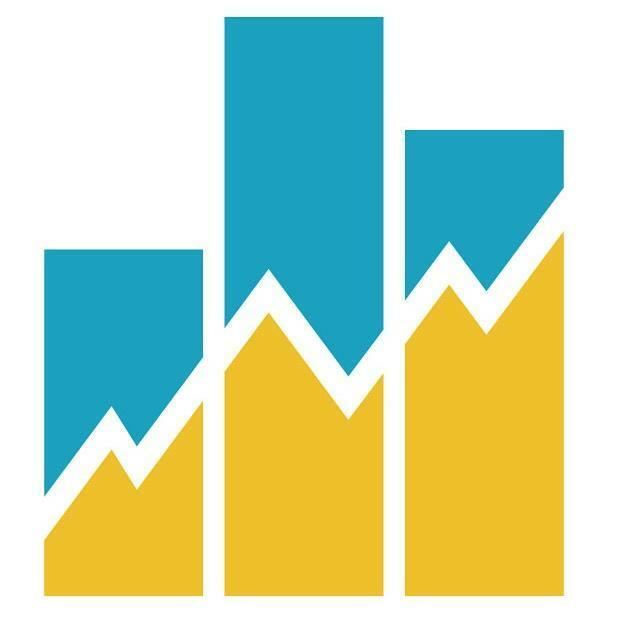 With these clean, easy-to-understand and detailed charts, sheets and data, Simply Wall Street focuses on stocks, portfolios and ideas to help you maximize your returns and get the most up-to-the-minute data on purchases and sales that you're considering. It's the power of an advisor on your phone, tablet or desktop. CEO and Founder Alistair (Al) Bentley created Simply Wall St to help people make better investing decisions through visuals and infographics. Sparkfund is a subscription model for energy technology in buildings. Everything down from controlling lighting, building controls and HVAC, joining up with Sparkfund means help, advice, installation, repairs and monitoring to help your building become efficient in both energy and technology. It makes workflow and life easier while cutting down on problems and saving electricity. Co-Founder & CEO Pier LaFarge is an entrepreneur who, at ICF International, worked with major organizations co-founded a new service offering that focused on energy efficiency and finance strategy. 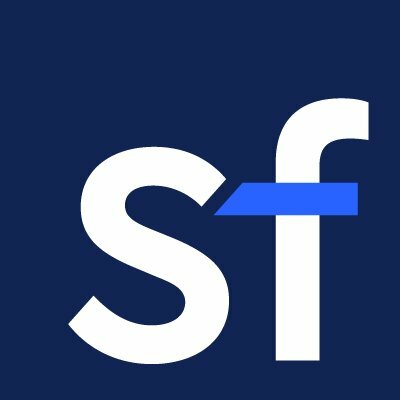 Why Sparkfund is Best in Finance Technology: Sparkfund provides installation, repairs, monitoring, ongoing service and free audits. Sparkfund works with leading manufacturers, contractors, and implementation partners to provide installation, repairs, monitoring, ongoing service and free audits. One of the most difficult parts of doing business is getting paid for the work you or your company completes. You have to send and issue invoices, track down overdue bills and make sure you get paid. MarketInvoice solves that problem by helping companies and business owners cut down on the amount of time to get paid for their work. It is a huge hit and has won millions of pounds in investments and seed money while cutting down on time for people to get paid. CEO Anil Stocker wanted to use tech and data to help small businesses raise the funding they need. He was listed as one of Forbes Magazine's Finance 30 Under 30. 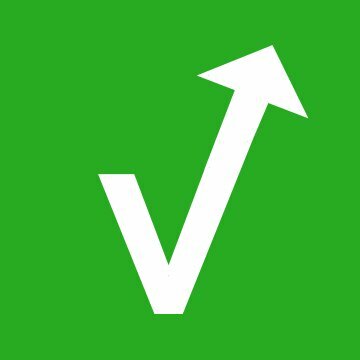 In addition, MarketInvoice now offers unsecured business loans from £10,000 to £100,000 over a 12-month term with no early repayment fees. With the launch of business loans, they will deepen its support for businesses requiring working capital around their invoice finance requirements. Business loans will be available to all UK businesses with a minimum turnover of £70,000 which has been trading for at least 6 months. 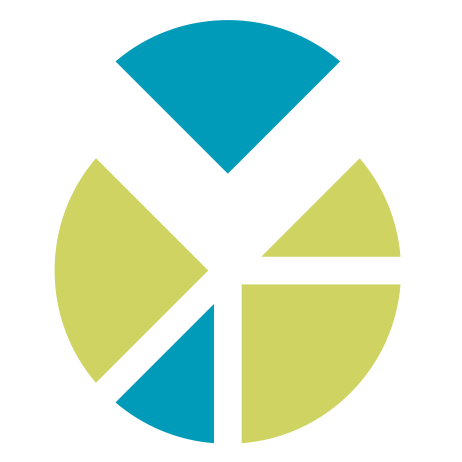 HouseCanary is a great, fun and smart resource when it comes to the world of real estate. Simply input an address and you can receive intuitive data, pricing and predictive real estate analytics to learn as much as possible about past, present and future home values for given properties. Whether you're an agent, investor or curious homebuyer, it's a valuable and fast tool that's worth exploring. CEO and co-Founder Jeremy Sicklick, who has served as a Partner & Managing Director at The Boston Consulting Group and earned his MBA from The Wharton School, now drives vision, strategy and growth for HouseCanary. Fenix International is bringing solar power, easy and quick mobile phone payments and business help to Uganda as they start spreading their work around the world. Helping people and businesses cut down on expenses from batteries and kerosene lamps, Fenix International helps people set-up solar panels and make easy and secure payments through text messages. President, Chairman and CEO Lyndsay Handler brings 13 years of leadership and groundwork in East Africa and Silicon Valley to Fenix International from an expertise and background in renewable energy, microfinance and education. Whether you're looking for auto insurance, homeowners, business, renters or motorcycle insurance, CoverHound is a fun, easy and transparent tool to get yourself covered. All you have to do is select the type of insurance you're trying to find and answer a few questions about yourself. Within minutes you'll have a wide selection of options that work for you and your budget. CoverHound CEO Keith Moore is a veteran executive and entrepreneur who has worked in product development, branding and marketing experience for companies including AcademixDirect, iContact and Lending Tree. If you are a B2B company that has been in business for at least a year or two and is growing and wants to grow faster, than P2Binvestor is a great way to raise an asset-backed revolving line of credit. Companies can receive from $250,000 to over $10 million in working capital so that you can expand your business and make smart moves. It's created by entrepreneurs for entrepreneurs. CEO and Cofounder Krista Morgan also cohosts the popular podcast Women Who start-up Radio while serving as a mentor, entrepreneur and leader in the world of finance, fundraising and scaling start-ups. Call Levels is a free financial market price alert app that allows you to focus on your work without distractions. It takes care of the constant price checking and monitoring and alerts you based on your settings and portfolio. Fully customizable, it thinks the way you do when it comes to the market and allows you to stop worrying about pricing every minute, and will be there when it's needed the most. Co-Founders Daniel and Cynthia are experts in mathematics, statistics, finance and quantitative trading. They bring their investment analytics knowledge to Call Levels and have helped it reach its current success. Coins.co.th is Thailand's leader when it comes to paperless and frictionless moving of money, bitcoins and accounts. It's the easiest way to pay and get paid, whether you're looking to pay a friend back for your share of dinner or request money for work you did. It's simple, fast and secure to top-up your phone or buy, sell or trade bitcoins in Thailand. Coins.co.th, founded in 2014 by Silicon Valley entrepreneurs Ron Hose and Runar Petursson, became Southeast Asia's leading mobile blockchain-enabled platform that allows people access to financial services from their phone. If you're looking for a way to invest in solar, solar energies and the future of solar technology, then Wunder Capital is one of the best places to start. With a minimum investment of only around $1,000, you can be a part of a term fund or income fund that is banking on the future of renewable, clean and abundant energy that has a very bright and promising future. President and CEO Bryan Birsic brings finance and capital raising expertise to Wunder from his time at Bain & Company to Village Ventures. He believes in bringing innovative software approaches to new markets. ClearTax is used by over 2.5 Million Indian Taxpayers to e-File their Tax Returns making it India’s largest player in the space. Over 20,000 CAs & tax professionals and thousands of businesses across India also use the ClearTax platform for Tax & TDS returns. Thousands of employers use ClearTax to generate Form 16s. ClearTax also helps individuals make smart decisions about investing and tax saving, and our experts assist startups with incorporation and other tax compliance. EarnUp is a great new app that automates loan repayments on a schedule that works for you and goes a little extra to pay them back faster. Its smart technology helps you put a little more towards your debt every month so that you can have more peace of mind. They will even notify you of opportunities to save on your repayments over time. Take the stress and worrying about repaying auto, student, home and credit card payments. Co-founders Matthew Cooper and Nadim Homsany bring their love for design and making financial decisions more understandable for consumers with their passions for financial empowerment. 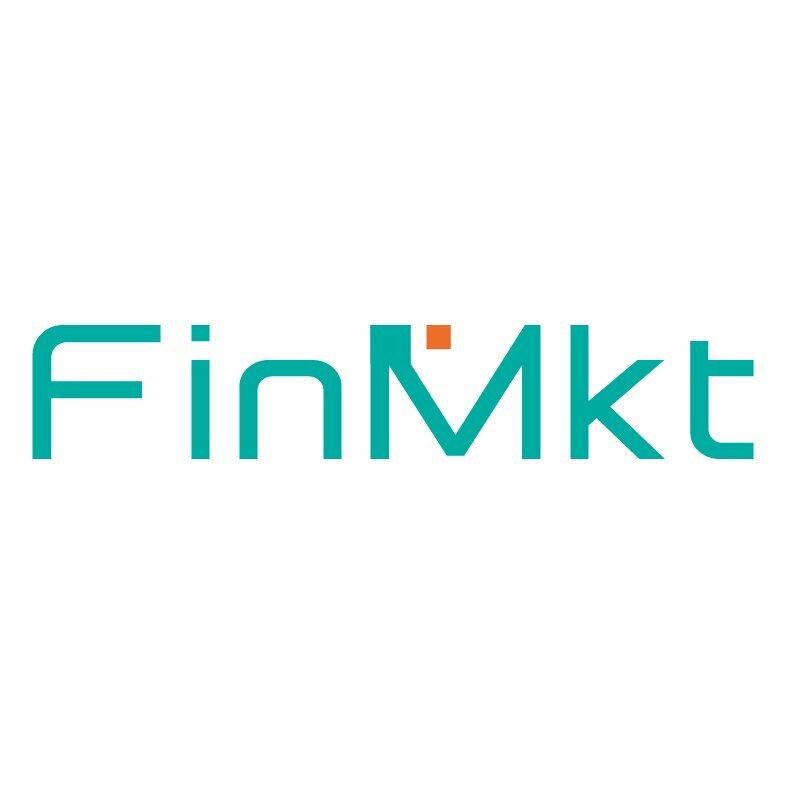 FinMkt's unparalleled solutions and offerings make it faster, easier, more secure and seamless to help connect customers with financial offerings. Whether it is in-house offerings or third-party, banks, credit unions, lending institutions or alternative financial marketing outlets, FinMkt makes business run faster, which boosts efficiency and saves money for everyone. CEO and Co-Founder Luan Cox has a thorough background in financial technology leadership from her time at IDC, Stockpoint and Quote.com, while being an alumna of the elite Springboard Accelerator program. Money Mover's users have traded over 111 million euros thanks to the speed, security, flexibility and control that comes with their offerings to move and receive international payments. Whether you are coordinating for personal finances overseas or have foreign business dealings, their users always turn to Money Mover to help exchange money faster and securely when dealing internationally. Money Mover's founders, a group of friends who lived and worked on three different continents, created the company to solve the problem and difficulties of transferring money across seas and borders in a safe, fast and secure manner. DarcMatter addresses the problem that it can be difficult to diversify funds and receive full, transparent access to all the fund documents you need. You end up spending a lot of time trying to find funds, and even then you won't always get the full story. 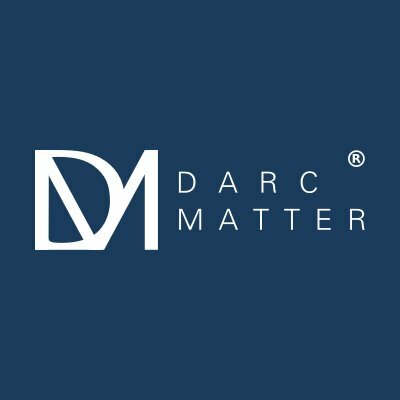 DarcMatter is a great resource for investors and fund managers to help match them with the perfect offerings with all necessary info available at your fingertips. Sang H. Lee, CEO and founder of DarcMatter, brings his expertise as an investment banker at BNP Paribas. He has been featured as an Under30CEO Entrepreneur to Watch in New York City. Payoff is a great, easy way to pay off all your credit cards using one payment and one loan rate. It will help you improve your credit score and get out of debt while offering encouragement and support along the way. They've been featured in Yahoo, Glamour, Wall Street Journal and Forbes thanks to their efforts to make it easier to pay off those cards faster and securely. Founder and CEO Scott Saunders brings over 15 years of experience to Payoff, launching it to bring financial wellness to its community members. 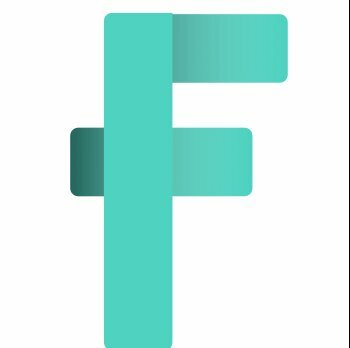 Finomena is an innovative company in India that allows shoppers to paste links from popular shopping sites and quickly apply for a loan and payment schedule to repay the product you're looking to purchase. It's a great option if you are looking to buy something immediately and will be able to make the payments in installments over time. It's a unique approach to retail and online shopping that can be done from your phone. Finomena co-founders Abhishek Garg and Riddhi Mittal bring their passion for making banking about personal connections and their expertise in financial technology to Finomena. EquityZen lives at the intersection of private investors and proven start-ups. It allows shareholders, companies and investors to interact and trade while making the process easy, fast, safe, secure and advantageous for all parties involved. Whether you need to sell your shares or you're an investor seeking to diversify your portfolio, it's a great way to access proven private tech businesses otherwise usually out of reach. With over 2800 investments closed in 80+ companies, EquityZen continues to provide an efficient platform for those seeking engagement with private tech markets. Why EquityZen is Best in Finance Technology: With EquityZen, you can diversify your risk, get cash for unexpected events, invest in proven pre-IPO companies, and control shareholder liquidity. 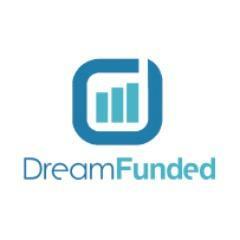 DreamFunded has been featured in CNN, Fast Company, Forbes, Fox News and pretty much any other business and finance outlet thanks to their impact in the world of crowdfunding businesses, innovations, apps and start-ups. Now anyone can become an investor in the businesses they love and take a part in their success and well-being. It's great for companies looking to get off the ground or people who want to invest in interesting and original ideas. Co-founder Manny Fernandez had many investors wanting to join his SF Angels Group in San Francisco, so he sought to come up a way to open up access to using Equity CrowdFunding. Financial Solutions Lab (FinLab) is an organization that's dedicated to improving financial knowledge, solutions and choices across America. They are a community of nonprofits, financial services companies and nonprofit organizations that want to scale financial innovations across the entire country for the economic well-being of hardworking Americans. The Financial Solutions Lab is comprised of a community of start-ups, financial services companies and nonprofit organizations with the goal of scaling financial innovations that improve the lives of American workers. Hedge funds have been investing in legal cases for a long time and now LexShares makes that possible for individual investors. LexShares offers complete and detailed case summaries so that you can receive detailed info on whether you would like to invest your funds. If the case pays off, then you can receive interest on your investment. It's a great way to diversify on one side or raise capital on the other. Co-founders Jay Greenberg and Max Volsky bring their backgrounds in law, technology and investing to LexShares to help people invest in cases and raise capital for their own legal pursuits. DailyPay’s mission is to give people their first steps toward financial security. DailyPay partners with companies to offer a benefit that allows employees to control the timing of when they get paid, so they can pay bills on time and cover unexpected expenses. This benefit has proven to help improve employee retention, recruiting, and engagement. How it works: DailyPay connects directly with a company's timekeeping system and makes a percentage of reported hours/earnings available to employees. DailyPay is simply paid back for any early transfers through the company's normal payroll process - effectively with no disruption/ change to a company’s existing payroll process. Why DailyPay is Best in Finance Technology: DailyPay allows employees to control the timing of when they get paid. With a tap of a button, you can instantly transfer your earned yet unpaid wages into the bank account of your choice. Tandem Bank, a new start-up based in London, is looking to become a better bank that is tied in with the community and is aimed at younger professionals looking for a banking experience that speaks to them. With community events, workshops and parties (yeah, even parties, when do you ever hear that from a bank? ), they are building their network so they can make a difference when it comes to saving, spending, investing and achieving your financial dreams. Tandem has an innovative approach by inviting fans and followers to become Co-Founders in their platform with their popular Facebook group; the goal is to help spread the word and make a difference in the world of banking. Hijro is designed to speed up and streamline working capital and supply chain operations for networks, ports and financial businesses. Using their advanced platform and API, companies can get their receivables faster, gain access to powerful ledger applications, and access a suite of supply chain systems to a network of partner ports. Lamar Wilson, CEO of Hijro, is creating a Blockchain platform to allow for a scalable and secure access for CFOs to record each cent that moves through their systems in real-time. Financeit is a great advantage for contractors, small business owners and independent professionals who might have trouble getting paid on large jobs. This program, app and business allow you to establish a payment plan for clients and customers. It makes the process easier, more transparent and simple, which in turn allows you to focus on the work while the payments are handled on their own. CEO Michael Garrity has spent over 15 years in the world of business and financial services. He has served at epost in the world of bill presentment and payment and a start-up built around online enterprise solutions. LedgerX is currently waiting on full regulatory approval from the CFTC. Once approved, they aim to become "The first federally regulated bitcoin options exchange and clearing house to list and clear fully-collateralized, physically-settled bitcoin options for the institutional market." For people looking to complete high-volume trades in bitcoin, they are well positioned going forward. Founders Paul Chou, Juthica Chou and Zach Dexter bring their backgrounds in securities and derivatives trading, software engineering and financial entrepreneurship to their work at LedgerX. 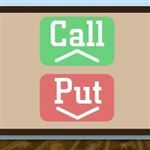 Stockfuse is a virtual stock market game that is one of the best ways to learn about buying and selling shares of companies. Whether you are a student, educator or anyone who wants to learn the world of the stock market without risking your real money, it's great for newbies or people looking to brush up their skills. Stockfuse CEO, Sean McCormack, created the game to level the playing field for students so that anyone could have the skills needed with leading financial institutions, regardless of their backgrounds. Stratumn leaves a cryptographic audit trail and solid traceability for conducting international collaboration in the world of business, finance and technology, so that everyone can stay within regulations. It offers security and allows companies to improve their workflow and process without getting bogged down in paperwork and bureaucracy: their Proof of Process (PoP) technology. Richard Caetano (CEO) and Stephan Florquin (CTO) created Stratumn after being inspired by the success and possibilities of the bitcoin whitepaper and bitcoin success. Richard published a book on bitcoin and applied his expertise on decentralized networks to launch the company. AppZen uses AI technology to integrate with your travel and expense accounts to perform audits that can save you time, money and difficulty down the line. With real-time monitoring and seamless performance with the most popular T&E programs, you won't have to worry about mistakes that employees might make or taking the time, money and effort to have people scan every single line item when AppZen can find mistakes automatically. Founders Anant Kale (CEO) and Kunal Verma (CTO) bring their backgrounds in complex software, engineering, technology and development, and AI technology to create AppZen's forward-thinking expense platform. Better makes the process of getting pre-approved for a mortgage or refinancing your home, well, better. With a complete and seamless online process that requires no hassle or paperwork, you can work on your schedule and pay no commission in order to get pre-approved online. Forbes and Financial Times have all taken note of Better's ability to help people get the financing they need in order to improve the home buying and financing process. CEO Vishal Garg heads a leadership team with the mission to make home financing faster, more transparent and at a lower cost for all Americans. Cambridge Blockchain is looking to solve a major problem for financial firms: all the soaring costs related to identity compliance. Whether it's clients, colleagues or customers, Cambridge Blockchain aims to enable strong digital identities around the world while insuring protection and control over those identities every step of the way. It allows financial institutions to verify and collect data securely without overstepping regulations and saving money along the way. Matthew Commons (CEO), Alex Oberhauser (CTO) and Alok Bhargava (COO) bring their expertise in blockchain development, engineering and data structuring to Cambridge Blockchain. Equidate's goal is to become the premier stock market for private tech companies. 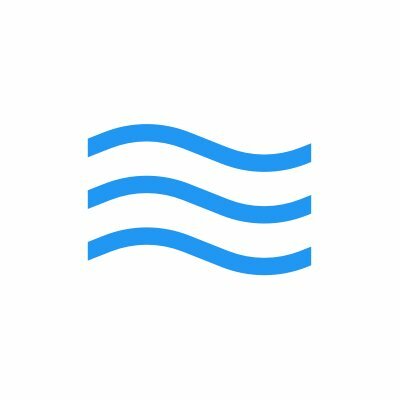 Whether you are an investor looking to diversify with pre-IPO tech companies or a shareholder who is seeking more liquidity in your holdings, Equidate has been featured in The New York Times, The Wall Street Journal, Forbes and TechCrunch for living at the intersection of Wall Street and Silicon Valley. Co-CEOs Sohail Prasad and Samvit Ramadurgam are Y Combinator alums and were founding partners at S2 Capital before bringing their financial and technological expertise to Equidate. 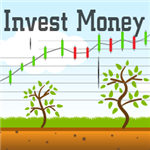 Instavest is an algorithmic investment platform. They are on a mission to catalog and algorithmize the best investment strategies in the world. Saleem S. Khatri, Co-Founder and CEO, is a seasoned investment veteran, having led the Auto Bailout at the U.S. Department of the Treasury and prior to worked at both Goldman Sachs and Oaktree Capital Management as an investor. He is a graduate of the Harvard Business School. Mohammad Mithani previously worked at Google - where he helped manage the team to build out Google's multi-billion Treasury function. Instavest Capital, an affiliate of Instavest, is a Commodity Trading Advisor and Introducing Broker registered with the U.S. Commodity Futures Trading Commission. Why Instavest is Best in Finance Technology: The company's initial algorithmic strategies are market-neutral, which means clients can potentially profit in an up, down or sideways market. The first algorithms are based on options and Instavest expects to add algorithms in a variety of other related investment verticals, including cryptocurrency. PayJoy offers installment payment plans so people who have no access to credit can purchase their first great smartphone. PayJoy uses its unique combination of mobile security technology to turn the phone into collateral, and advanced data science for non-traditional underwriting, to quality under-banked customers. PayJoy is making it easy to get connected to the global universe online when it comes to finding a phone that works for you. With simple plans, advanced technology and a unique business model, it's easy for phone retailers to work with customers to set-up plans to pay off their phones using the devices themselves. With their software, people can purchase phones and create payment plans that work for them. Founders Doug Ricket, Gib Lopez and Mark Heynan started PayJoy with the mission to build a product that makes a difference and allows tech to be more accessible for everyone. Crowd Valley provides an API first platform for segments such as real estate, private debt, private equity, business and peer-to-peer lending and wealth management. They offer 'The end to end fintech platform for online lending and investing applications that is bank grade secure’ They are a key resource when it comes to every kind of financial trading and verification process in real estate, finance and wealth management. The team entered the market together in 2009 to launch the world's first equity crowdfunding service, after spinning off together as Crowd Valley Inc in 2012 to focus on online investing and investing infrastructure. ChormaWay is on the cutting edge when it comes to technology and platforms that bring banks to the blockchain and bitcoin technology. They are well-funded, influential in both the financial and academic worlds and are at the cutting edge of the way assets and finances will be traded by banks and individuals in the future using their technology. Founders Alex Mizrahi, Henrik Hjelte and Or Perelman founded ChromaWay with their expertise working with Bitcoin implementation, financial technology, entrepreneurship, development and engineering. Asset managers, wealth managers and fund and portfolio companies use Street Contxt to drive performance and results for their clients. It's done with machine learning insights that are directly targeted to brokers, research experts and asset managers. It increases the speed and efficiency of business so you can make the best decisions for your clients' needs. 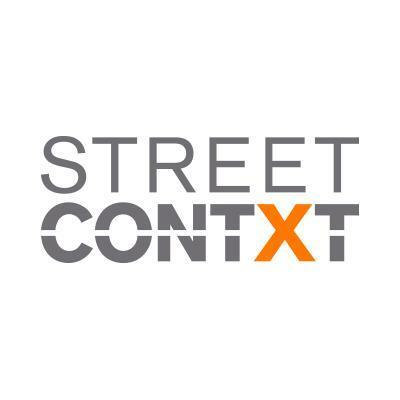 CEO and Founder Blair Livingston is an expert in market structure, financial technology, financial commentary and communication that he brings to the insights and connections at Street Contxt. Kantox uses technology, an innovative approach, regulated solutions and transparency to solve currency-related business problems. They are experts in risk management and have solutions in the world of automotive, e-commerce, engineering, fashion, investment and travel industries. They have any platform that you would need and advanced solutions to assist corporate treasurers. Kantox got its start in 2010 when Philippe Gelis and Toni Rami met at Deloitte and began working on an idea that would fight against the opacity of the financial sector. Invessence builds the technology that asset and fund managers need to get their platforms across in the most effective, secure and efficient way to clients. They are a business-to-business company with a full suite of possibilities in order to "Configure the types of recommended securities, portfolio strategy and even the client questionnaire." CEO Jigar Vyas brings over 20 years of financial product innovation to Invessence with the goal of making investing easier and more efficient. He has built a career around managing money while creating financial and technological solutions. Slice Capital is a great service that lives at the intersection of crowdfunding and angel investing. They democratize the process of finding start-ups and taking a piece in the future growth by allowing users to fully analyze new companies. With investments starting at only around $100, it allows anyone to help companies get off the ground and trust their own inner-investor and backer. Slice Capital Co-Founder and CEO Rohan Shah brings his entrepreneurial leadership in tech, business and algorithms to the successful launch of Slice, opening up the world of angel investing. 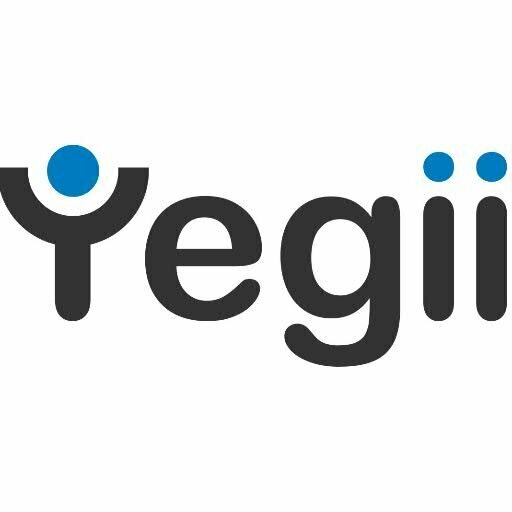 Yegii is a business and insight network that is dedicated to solving corporate, business and tech problems using AI technology and a thorough network of teams and experts. You can research solutions, hire experts to solve your business needs, or, if you're an expert yourself, you can address solutions of your own. It allows you to focus on what matters and get your business past hurdles along the way. Tina Choi, President and co-founder, is passionate about building lasting relationships among Yegii's customers, partners and the team of experts and engineers with a background in Global Media and Communications. CollegeBacker makes saving for college easy, transparent, secure and simple. 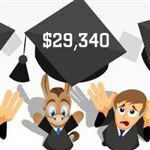 In just minutes, you can establish a 529 college savings plan for your son or daughter that will grow over time, cutting down the cost of a university education for your family down the line. You can choose your own fee and you have control of your money at all times. Co-founders Jordan Lee and Abby Chao started CollegeBacker to make it easier to help families to prepare for the financial cost of college and provide easier access to higher education. When it comes to trading, buying and selling, investors know that every little edge can help. When it comes to studying the market and looking for trends, PsychSignal is an innovative company within that space. They use smart technology and data to provide real-time trader mood data to translate social media trends into stock prices. CEO and Co-Founder, James Crane-Baker, worked his way up to disrupt the world of Wall Street trading, becoming one of the best short-term traders on the market during one of its most volatile runs while training hundreds throughout his career. Spacious is an all-around excellent real estate platform that has a fully-functional desktop program and mobile app that encompasses everything related to real estate. Whether you're looking for as much info on a home as possible, want to learn about the market or neighborhood, or simply want to stay up-to-the-minute on real estate news and updates, Spacious has everything you need to make smart decisions when it comes to property. In 2007, Asif Ghafoor moved from London to Hong Kong with the Equities division of Goldman Sachs, but had a tough time finding a place online. He created Spacious as a solution to the world of real estate websites in his new home and it has quickly expanded. Rather than dealing with giant listings all clamoring to try and get fundraising, CapRally is a specific tool that allows companies to find investors. They help cut down on the massive amount of time that can go into creating spreadsheets and high investment banking fees. They help you find active investors, track and manage the deal at every step of the way, and utilize powerful analytics to achieve your financial goals. Co-founders Thomas Foley, Jeremy Copling and John Baunach created CapRally so that companies could easily manage their capital raise and investor relationships. They bring a background in financial software to their experience in banking. 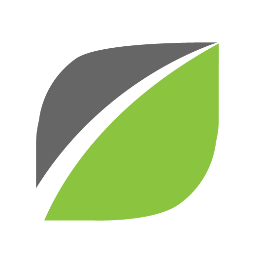 Venovate is a great resource for investors looking to diversify, expand and learn more about new companies, start-ups and alternative investments. Having been featured in Forbes, The Wall Street Journal and MarketWatch, Venovate prides themselves on "Matching sophisticated investors and their advisors with issuers raising capital for a broad range of alternative assets." They make the process easy and transparent while staying within compliance from start to finish. CEO and CCO Kat Cook brings an extensive background in financial services operations, business development and sales from companies including AltsDirect, NASDAQ OMX and Merrill Lynch to the helm at Venovate. 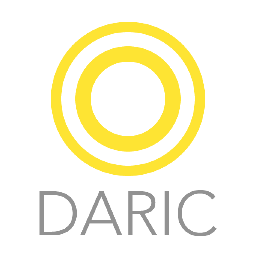 Located in the heart of Silicon Valley, Daric provides software solutions to the world's leading asset management, financial, mortgage and insurance companies. Whether you are concerned about risk management, insurance and fraud, mortgages or need to compile information and analytics to make the smartest decisions, Daric has the solution you need to run your operations smoother. 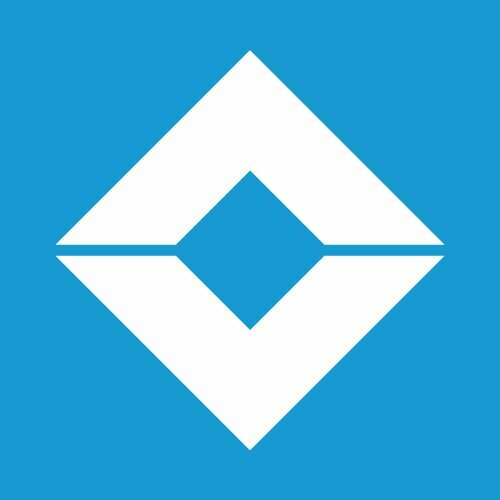 Daric founders Cooper Dawson, Vasant Ramachandran, Greg Ryan launched their site to serve as a disruptor in the space of peer-to-peer lending for personal and small business loans. Common Form makes doing your taxes easy. No one enjoys having to file their taxes, especially if they are late or accruing fees. Sometimes it can cost a fortune to find a CPA or there are only a handful of companies that will help. 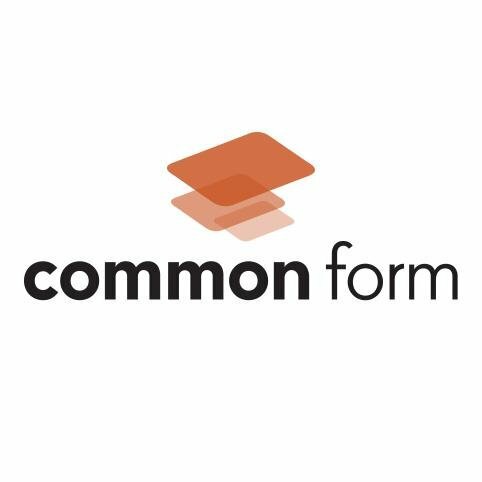 You can get started with Common Form for free and have an easy, intuitive and straightforward approach to filing your tax return with IRS-level security and endless positive testimonials from happy customers. Co-founders Charles Logston and Bill Hendricks wanted to create an easy way to file your tax return for a maximum return with ease, even if you are filing late. 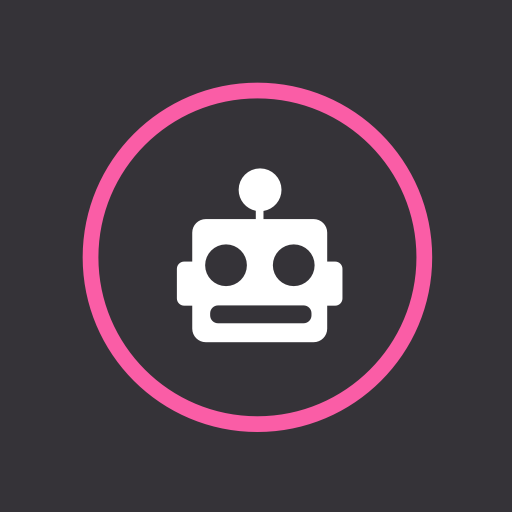 Homebot is a smart, intuitive, responsive and helpful company that will assist you with maximizing the value of your home. Whether you want to receive the full value for a renovation, want to make the best choices when it comes to refinancing, or you're an agent or lender looking for information that can help your clients, Homebot has all the info you need so your most valuable asset gets its money's worth. CEO Ernie Graham has overseen successful companies (including SocialBios and Telluride360) before taking the helm at Homebot's successful real estate platform. Some of Chain's partners and customers include Visa, Nasdaq, Citigroup and Capital One thanks to their innovations in the world of blockchain technology. Having created the open source Chain Protocol, they are one of the best companies in the finance technology world when it comes to secure, immutable databases that rely on a cryptographic key. Co-founder and CEO Adam Ludwin has helped Chain raise over $40 million in funding with strategic partners including Capital One, Citigroup, Fiserv, Nasdaq, Orange, and Visa. DealIndex mines data across all sorts of alternative investment vehicles so that you can make the strongest decisions for your clients and funds. With an international and wide netted approach to the world of crowdfunding, real estate and asset management, their real-time data will help you stay current and informed in the world of alternative investments. 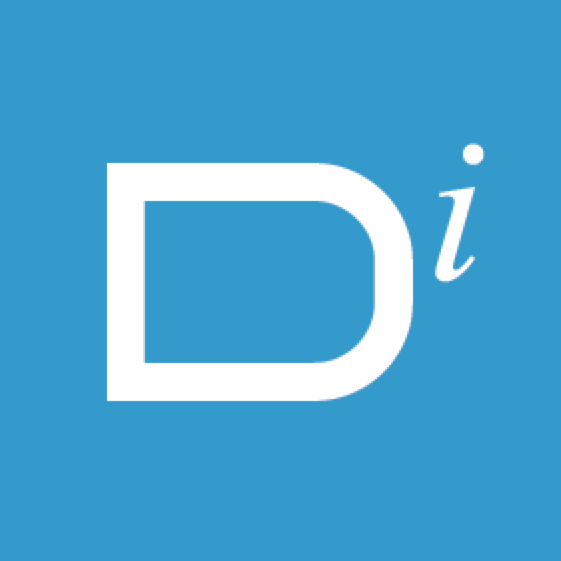 DealIndex was launched in 2014 by Jouko Ahvenainen, Valto Loikkanen, and Neha Manaktala to serve as a deal and data dashboard for firms in the digital investment market. Contix is a trader and investor-focused social media platform with breaking news, alerts, analytics and smart data that investors need to make informed decisions. With viewpoint analysis that can be accessed anywhere from any device, Contix looks at over a half billion traditional and social posts every day and boils it down to the information you need. 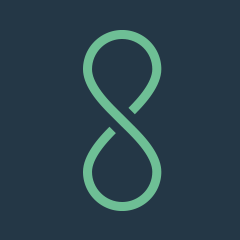 Contix was co-founded by Ryan Bailey and Daniel Leuck with the objective to revolutionize the intersection between investment trading, social media, news and analytics for traders. Finexkap is a French-based company that's looking to solve the problem that it can take a long time to get paid for work. Sometimes those payments are needed to expand and create projects that will help your company grow. Finexkap helps use the expected money from invoices in order to get you money today. It's a business loan that can help you get the money you need faster. Co-founders and CEOs Arthur de Catheu and Cédric Teissier set out to build a product that would not have the constraints of traditional invoicing and would provide more opportunities to their user base. WritePath is an ambitious and helpful offering when it comes to translating your site and services to over 35 languages around the world. You can save up to 50% of the cost by using their smart and intuitive T-Booster technology. Their team of editors and fluent translators will ensure your business earns its maximum reach for local speakers in foreign countries or at home. 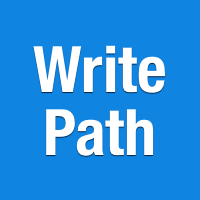 The WritePath team, lead by Co-Founder and CEO Charles Chin, brings passion, drive and international experience to this award-winning translation and writing platform. Artivest is making it easier for fund managers and financial advisors to share private funds and options with their client list while staying within regulatory guidelines and improving client relationships. It avoids the mountains of paperwork, allows for easy sharing with people you choose, and security and safety so that you can do your job better as a fund manager. CEO James Waldinger brings his investment expertise from macro hedge fund Clarium Capital to Artivest and served as an analyst on Peter Thiel's initial Facebook investment. SharesPost is an excellent resource and knowledge base when it comes to start-ups and financial technology that is reflected in their SharesPost 100 managed fund. With companies including Lyft, Spotify, SoFi, SoundHound and Spruce, they are the go-to resource in the world of investing, tech and transparency, with a personalized touch for investors and shareholders. Founder and CEO Greg Brogger launched SharesPost in 2009 with the goal of bringing transparency, efficiency and scale into the world of private technology growth. untapt has been featured in Forbes, Fast Company, Yahoo Finance and Wired for their innovative approach to helping software designers, engineers and workers find their next job. Using smart, intuitive and responsive AI, they will match you with the right company to take the pain and annoyance out of traditional job boards and hunting. Co-Founders Ed Donner and Max Kantelia bring their backgrounds from JPMorgan, IBM and specializations in Financial Technology and Entrepreneurship to help untapt thrive and excel. 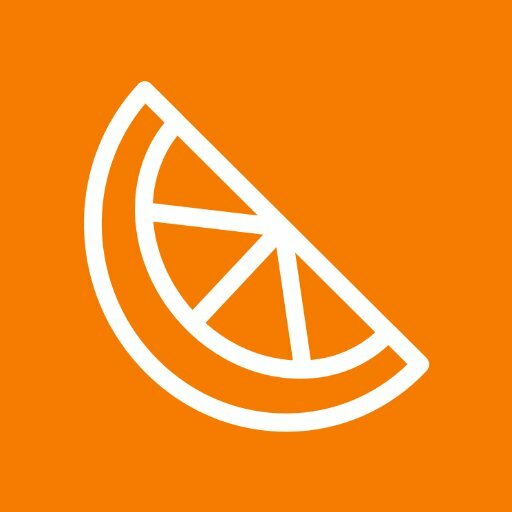 Neighborly adds a local and personalized flavor and touch when it comes to investing. Rather than placing your money in large mutual funds, ETFs and stocks, they allow you to invest in local projects and municipal bonds. They are great ways to invest if you're looking for a more secure vehicle for your money while also getting to contribute to your local growth and future. Founder and CEO Jase Wilson is an impact entrepreneur and urban designer who is passionate about helping cities connect with citizens. Curve is a solution for people with many credit and debit cards or a bulky wallet. It's a card and app that allows you to store multiple banks, cards and accounts in one place. It allows for easy tracking when it comes to spending and placing all your expenses into categories. It saves time, money and space while embracing the future of mobile payments. CEO Shachar Bialick believes in helping to build a connected world of money. He has founded numerous companies in finance and e-commerce and now brings his expertise to Curve. Able Lending brings the popularity of peer-to-peer loans to small businesses. Whether you are looking to get a big project off the ground, want to provide funding for a new idea or need some money to tide over a small month, it takes the power out of banks and allows you to deal directly with individuals and lenders across the country. CEO and Co-Founder Will Davis has written financial legislation for Congress, specializes in banking and financial policy and is an expert on innovation and public policy. ZOLOZ (formerly EyeVerify) scans one of your most unique features - your eyes - and allows them to act as your identification. EyeVerify allows for fast, secure and private log-ins, which is a valuable resource when it comes to banking and personal security. Banks and credit unions are turning to EyeVerify and millions of users are already using their eyes for quick and easy identification. Founder and CEO Toby Rush has spent 13 years in mobile and wireless with a thorough expertise in imaging sensors, mobile ventures and technology trends. Why ZOLOZ is Best in Finance Technology: ZOLOZ has private, fast and secure fully-encrypted biometric data. Cashboard is a personalized and digital investment advisor that helps you break through the noise and fight the right investments that work for you. Between funds, bonds, real estate and stocks, Cashboard assists you with making the right and most profitable, low-cost investment options, and always keeps you in control of your money. Plus they only charge you if you male a profit. Robert Henker, Marius Schulze, Stephan Henker and André Holdschick founded Cashboard and made it into one of the leading financial technology companies in Germany. Share on Facebook "Best in Finance Technology"